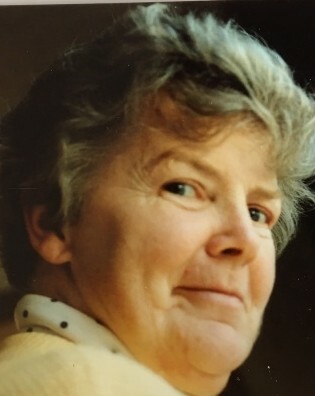 Helen V. Hanley, 92, of Avon-By-the-Sea, passed away peacefully on April 10, 2019. She was born in Jersey City to the late George and Helen (Buckley) O’Rourke. She was the oldest of six children; survived the Great Depression and WWII before the age of 21. Such upbringing taught her to be fiercely independent, self-sufficient and develop a do-it-yourself personality. She married John J. Hanley, a Jersey City Police Officer, in 1950. They raised five children together until 1983 when her husband passed away after a long illness. Following his death she moved to Avon-by-the-Sea, NJ. She so enjoyed the company of her family, especially her grandchildren who spent weekends at her Avon home. There she created a warm and welcoming environment as her family grew in numbers. Family members have cherished memories sitting on the Avon porch sharing stories and telling jokes. Her grandchildren fondly remember days at the Avon beach, playing in the backyard pool, riding bikes or roller skating in the Lane, sitting on the glider in the yard, Easter egg hunts and so much more. Helen loved decorating her house for Halloween, Christmas, Saint Patrick’s Day, Easter and other holidays. She also loved to travel, domestically and internationally, often in the company of her two close sisters, Joan and Patsy and childhood friends, Elaine and Lucille. She is predeceased by her husband John J. Hanley, her sisters Katherine (Kay) Allen and Patricia (Patsy) Donnelly, and her brother, Thomas O’Rourke. Surviving are her children Michael, Tom, Kevin, and J.P. Hanley and Marian (Hanley) Cavanaugh, her grandchildren Jennifer, David, Jack, Meredith, Grace, Marisa, Drew, Christian and Rebecca, her great grandson Noah Christopher and her siblings George (Sonny) O’Rourke and Joan Roper. Visitation will be held at the John E. Day Funeral Home, 85 Riverside Avenue, Red Bank, NJ 07701 on Friday April 12, 2019 from 3-7 p.m. A Mass of Christian of Burial will be held at St. Anthony of Padua RC Church in Red Bank on Saturday April 13, 2019 at 10:30 a.m. In honor of Helen’s memory and in lieu of flowers, donations may be made toward a scholarship fund established in Helen’s name to Saint James School, 30 Peters Place, Red Bank, NJ 07701.